You've got a Twitter account, what's wrong with trying to Twitter Client application which I will review here. The application name is Blu. 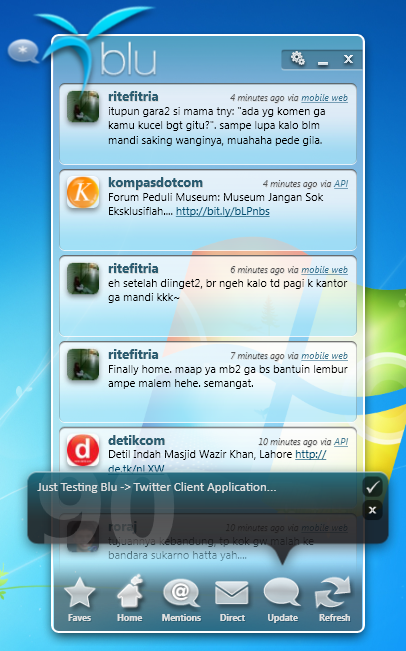 Blu is one of desktop-based Twitter Client interactive enough. Blu run on Windows XP, Vista/Win7 &. NET 3.5 SP1. Blu easier for you to use Twitter. 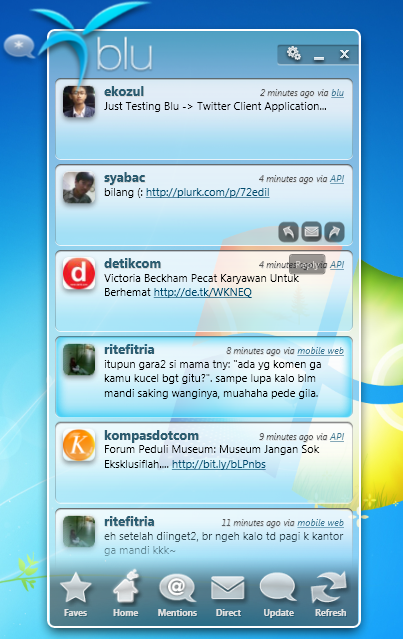 You can see tweet of your friends that loaded automatically by Blu. 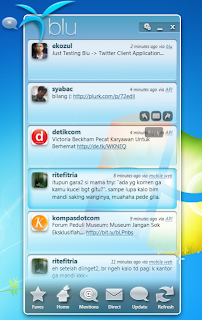 This application is recommended for users of Windows Vista or Win 7. Download and install Blu from http://www.thirteen23.com/experiences/desktop/blu. Many interesting features. You are easy to reply or to retweet. Also accompanied by an interesting animation. You can adjust the degree of transparency (opacity) and the refresh frequency. Try Blu. Hopefully you like it.